Rocky Pines Press, 9780989346450, 192pp. What would cause a twin to have panic attacks when he and his brother go away to separate colleges? Why do some twins find it so difficult to develop friendships and romantic relationships? The "twin mystique" and twins' own expectations of their relationship contribute to their difficulties. A therapist who understands the psychology of twins can articulate what's going on between the siblings. Clients will feel validated as well as relieved to gain clarity about a defining aspect of their identity. 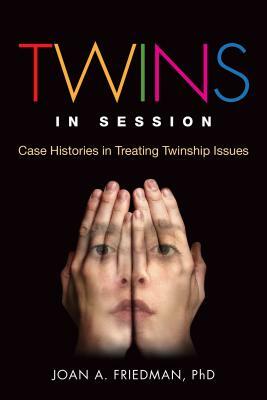 Twins in Session shows therapists how important the twin connection is, what it means, why it's sometimes more important than the relationship to either parent, and why some twins don't know who they are apart from the twinship. It will help therapists become a trusted outsider who can give twin clients perspective about their twinship issues and assist them in developing healthy relati.